In Beyond the Miracle, a distinguished South African journalist provides a wide-ranging and unflinching account of the first nine years of democratic government in South Africa. Covering both the new regime’s proud achievements and its disappointing failures, Allister Sparks looks to South Africa’s future, asking whether it can overcome its history and current global trends to create a truly nonracial, multicultural, and multiparty democracy. Sparks sees South Africa as facing many of the same challenges as the rest of the world, especially a widening gap between rich and poor, exacerbated by the forces of globalization. While the transition government has done much to establish democracy and racial equality in a short time, as well as bring basic services such as clean water to millions who did not have them before, many blacks feel it has not done enough to redress the continuing imbalance of wealth in the country. Many whites, meanwhile, feel disempowered and confused about what role they have to play as a racial minority in a country they used to rule and regard as theirs by divine right. Sparks also covers other burning issues, such as the HIV/AIDS epidemic, high crime rates, the diamond wars, the Congo conflict, and the Zimbabwean land crisis. 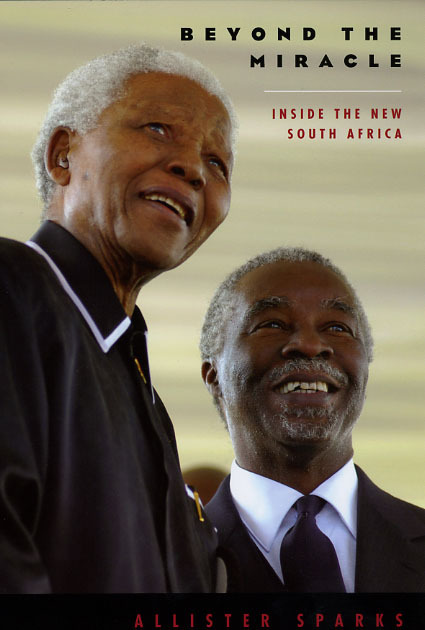 Writing vividly and often quite movingly, Sparks draws on his decades of journalistic experience and his recent insider access to key figures in the liberation government to take stock of where South Africa has been, where it’s going, and why the rest of the world should not turn away from this country where the First and Third Worlds meet. As Sparks persuasively argues, the success of Mandela’s vision of a peaceful "rainbow nation" is crucial not just for the salvation of Africa, but also for the world.